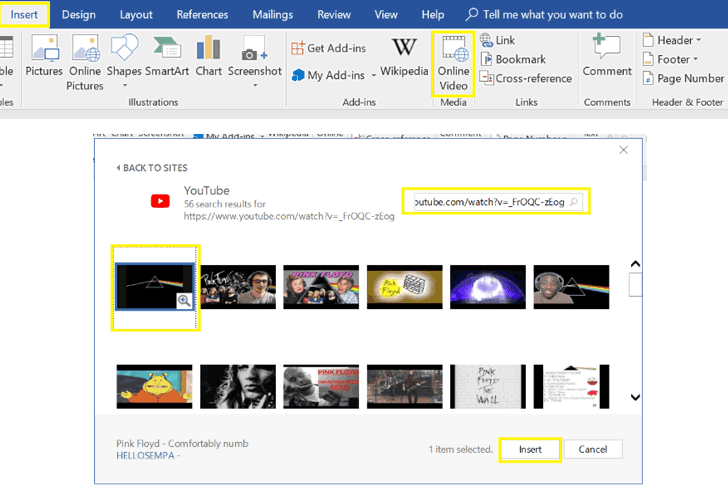 “Inside the .xml file, look for the embeddedHtml parameter (under WebVideoPr) which contains the Youtube iframe code,” the researchers said. Airlines aren’t having a good time of things at the moment. Even if you managed to dodge the recent British Airways fallout, you may well be caught up in the latest breach affecting no fewer than 9 million customers of Cathay Pacific. So what was taken? The impact this time around isn’t so much where payment information is concerned, as the 403 credit card numbers the hackers grabbed had all expired, and the 27 live ones had no CVV stored. It isn’t even passwords, as the airline claims none of those were grabbed. The issue is that the hackers took 860,000 passport numbers, 240 Hong Kong identity cards, and all personal data that goes with it. What Personally Identifiable Information (PII) was compromised? Here’s what the criminals ran away with in the Cathay Pacific breach: PII. Namely: nationality, date of birth, name, address, email, telephone numbers, frequent flyer membership numbers, customer service remarks, and “historical travel information.” The data accessed from passenger to passenger varies, so there’ll be some with almost nothing to worry about and others wondering how they drew several short straws simultaneously. If you’re wondering why breachers continue to steal PII, this data is incredibly useful for anybody planning a targeted attack, be it phishing, social engineering, or plain old convincing malware. Some of the scams could easily become real-world issues, as opposed staying firmly behind the computer screen. At this point, we’d typically advise anyone affected by the breach to be extremely cautious of any missive sent their way from those claiming to be Cathay Pacific. Don’t hand over payment information to random phone callers, avoid clickable links in emails persuading you that your password has expired, and so on. There’s only one slight problem with this: the breach apparently took place in March 2018, or at least that’s when they discovered a breach had taken place. It then took until May for them to confirm data had been accessed without permission. As a result, it may not be much use at this point to say “Watch out for this” when it’s already happened. If the airline is correct in its thinking that no data has been abused yet, then what you can do is visit the website set up in the wake of the breach (called a “Data security event”) and use the relevant link for US and non-US customers to get things moving. Note that Cathay Pacific points out they’ll never ask for personal/financial information related to this breach, and they also list a sole email point of contact for any further communications. Should you receive a note from an address other than the one mentioned, you can safely ignore it. To ease the fears of worried customers, Cathay Pacific are offering ID monitoring services. And if you’re not sure if you’ve been affected, you can send them a message and they’ll get back to you. Airlines are increasingly coming under attack from individuals with an eye for large pots of valuable customer data, and even their apps are considered fair game. Whether large fines or other consequences for Cathay Pacific emerge remains to be seen, but taking to the skies is anxiety-filled enough without having to worry about the safety of your data back on terra firma. One would hope this is the last major airline breach we’ll see for a while, but on the evidence we’ve seen so far, they’ll be a prime slice of hacker real estate for some time to come. The post Huge breach affects 9 million Cathay Pacific customers appeared first on Malwarebytes Labs. “Not the same bug I posted a while back, this doesn’t write garbage to files but actually deletes them.. meaning you can delete application dll’s and hope they go look for them in user write-able locations. Or delete stuff used by system services c:\windows\temp and hijack them,” the researcher wrote. A few hours ago the company announced its “non-shocking” plans to shut down Google+ social media network following a “shocking” data breach incident. The changes are part of Google’s Project Strobe—a “root-and-branch” review of third-party developers access to Google account and Android device data and of its idea around apps’ data access. Google announced some new changes to the way permissions are approved for Android apps to prevent abuse and potential leakage of sensitive call and text log data by third-party developers. While the apps are only supposed to request permission those are required for functioning properly, any Android app can ask permission to access your phone and SMS data unnecessarily. To prevent users against surveillance and commercial spyware apps, Google has finally included a new rule under its Google Play Developer Policy that now limits Call Log and SMS permission usage to your “default” phone or SMS apps only. “Only an app that you’ve selected as your default app for making calls or text messages will be able to make these requests. (There are some exceptions—e.g., voicemail and backup apps. ),” Google said. Since APIs can allow developers to access your susceptible data from your Gmail email account, Google has now finally decided to limit access to Gmail API only for apps that directly enhance email functionality—such as email clients, email backup services and productivity services. 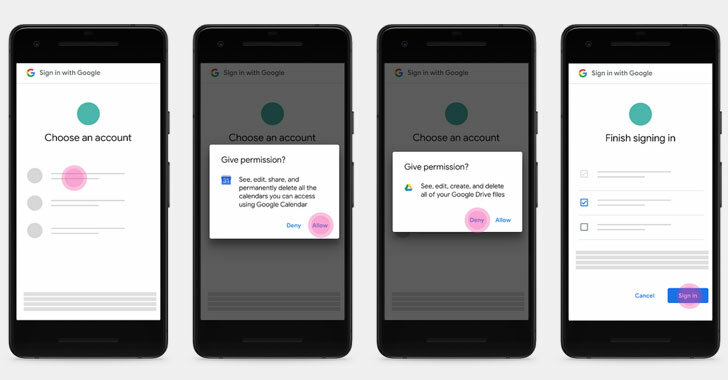 When third-party app prompts users to access their Google account data, clicking “allow” approve all requested permissions at once, leaving an opportunity for malicious apps to trick users into giving away powerful permissions. While the change went into effect today, the developers have been given 90 days (January 6th) update their apps and services. After that, the updated Developer Policy will get enforced on its own. Besides these changes, in next few hours, at 11 AM ET, Google is going to announce some cool new gadgets and Pixel devices at its third annual “Made By Google” event in New York. This update also includes a critical advisory that covers updates to the Microsoft Office suite of products. Microsoft has disclosed 12 critical vulnerabilities this month, which we will highlight below. CVE-2018-8491, CVE-2018-8460 and CVE-2018-8509 are memory corruption vulnerabilities in the Internet Explorer web browser. In both cases, an attacker needs to trick the user into visiting a specially crafted, malicious website that can corrupt the browser’s memory, allowing for remote code execution in the context of the current user. This class of vulnerabilities is especially dangerous since a spam campaign can be used to trick the user while hiding the attack from network protections with HTTPS. CVE-2018-8473 is a remote code execution vulnerability in Microsoft Edge. The bug lies in the way the web browser accesses objects in memory. An attacker could trick a user into visiting a malicious website or take advantage of a website that accepts user-created content or advertisements in order to exploit this vulnerability. CVE-2018-8513, CVE-2018-8500, CVE-2018-8511, CVE-2018-8505 and CVE-2018-8510 are memory corruption vulnerabilities in the Chakra scripting engine that affects a variety of products. In all cases, an attacker could exploit these vulnerabilities to execute code on the system in the context of the current user and completely take over the system. This class of vulnerabilities is especially dangerous since a spam campaign can be used to trick the user while hiding the attack from network protections with HTTPS. CVE-2018-8494 is a remote code execution vulnerability that exists when the MSXML parser in Microsoft XML Core Services processes user input. An attacker can exploit this bug by invoking MSXML through a web browser on a specially crafted website. The user also needs to convince the user to open the web page. CVE-2018-8490 and CVE-2018-8489 are remote code execution vulnerabilities in the Windows Hyper-V hypervisor. The bugs lie in the way the host server on Hyper-V fails to properly validate input from an authenticated user on a guest operating system. An attacker could exploit these vulnerabilities by running a specially crafted application on a guest operating system that could cause the Hyper-V host operating system to execute arbitrary code. There are also 34 important vulnerabilities in this release. We would like to specifically highlight 22 of them. CVE-2018-8512 is a security feature bypass vulnerability in Microsoft Edge. The web browser improperly validates certain specially crafted documents in the Edge Content Security Policy (CSP), which could allow an attacker to trick a user into loading a malicious page. CVE-2018-8448 is an elevation of privilege vulnerability in the Microsoft Exchange email server. The bug exists in the way that Exchange Outlook Web Access improperly handles web requests. An attacker could exploit this vulnerability by performing script or content injection attacks that trick the user into disclosing sensitive information. They could also trick the user into providing login credentials via social engineering in an email or chat client. CVE-2018-8453 is an elevation of privilege vulnerability in the Windows operating system that occurs when the Win32k component improperly handles objects in memory. An attacker could obtain the ability to run arbitrary code in kernel mode by logging onto the system and then run a specially crafted application. CVE-2018-8484 is an elevation of privilege vulnerability in the DirectX Graphics Kernel driver that exists when the driver improperly handles objects in memory. An attacker could log onto the system and execute a specially crafted application to exploit this bug and run processes in an elevated context. CVE-2018-8423 is a remote code execution vulnerability in the Microsoft JET Database Engine that could allow an attacker to take control of an affected system. A user must open or import a specially crafted Microsoft JET Database Engine file on the system in order to exploit this bug. They could also trick a user into opening a malicious file via email. CVE-2018-8502 is a security feature bypass vulnerability in Microsoft Excel when the software fails to properly handle objects in protected view. An attacker could execute arbitrary code in the context of the current user if they convince the user to open a specially crafted, malicious Excel document via email or on a web page. This bug cannot be exploited if the user opens the Excel file in just the preview pane. CVE-2018-8501 is a security feature bypass vulnerability in Microsoft PowerPoint. The bug exists when the software improperly handles objects in protected view. An attacker can execute arbitrary code in the context of the current user if they convince the user to open a specially crafted PowerPoint file. This bug cannot be exploited if the user only opens the file in preview mode. CVE-2018-8432 is a remote code execution vulnerability that lies in the way Microsoft Graphics Components handles objects in memory. A user would have to open a specially crafted file in order to trigger this bug. CVE-2018-8504 is a security feature bypass vulnerability in the Microsoft Word word processor. There is a flaw in the way the software handles objects in protected view. An attacker could obtain the ability to arbitrarily execute code in the context of the current user if they convince the user to open a malicious Word document. The bug cannot be triggered if the user opens the file in preview mode. CVE-2018-8427 is an information disclosure vulnerability in Microsoft Graphics Components. An attacker could exploit this vulnerability by tricking the user into opening a specially crafted file, which would expose memory layout. CVE-2018-8480 is an elevation of privilege vulnerability in the Microsoft SharePoint collaborative platform. The bug lies in the way the software improperly sanitizes a specially crafted web request to an affected SharePoint server. An attacker could exploit this vulnerability by sending a specially crafted request to an affected SharePoint server. CVE-2018-8518, CVE-2018-8488 and CVE-2018-8498 are elevation of privilege vulnerabilities in the Microsoft SharePoint Server. An attacker can exploit these bugs by sending a specially crafted request to an affected SharePoint server, allowing them to carry out cross-site scripting attacks and execute code in the context of the current user. CVE-2018-8333 is an elevation of privilege vulnerability in Filter Management that exists when the program improperly handles objects in memory. An attacker needs to log onto the system and delete a specially crafted file in order to exploit this bug, which could lead to them gaining the ability to execute code in the context of an elevated user. CVE-2018-8411 is an elevation of privilege vulnerability that exists when the NFTS file system improperly checks access. An attacker needs to log onto the system to exploit this bug and then run a specially crafted application, which could lead to the attacker running processes in an elevated context. CVE-2018-8320 is a security feature bypass vulnerability that exists in the DNS Global Blocklist feature. An attacker who exploits this bug could redirect traffic to a malicious DNS endpoint. CVE-2018-8492 is a security bypass vulnerability in the Device Guard Windows feature that could allow an attacker to inject malicious code into Windows PowerShell. An attacker needs direct access to the machine in order to exploit this bug, and then inject malicious code into a script that is trusted by the Code Integrity policy. The malicious code would then run with the same access level as the script, and bypass the integrity policy. CVE-2018-8329 is an elevation of privilege vulnerability in Linux on Windows. The bug lies in the way Linux improperly handles objects in memory. An attacker can completely take control of an affected system after logging onto the system and running a specially crafted application. CVE-2018-8497 is an elevation of privilege vulnerability that exists in the way the Windows Kernel handles objects in memory. A locally authenticated attacker can exploit this bug by running a specially crafted application. CVE-2018-8495 is a remote code execution vulnerability that exists in the way Windows Shell handles URIs. An attacker needs to convince the user to visit a specially crafted website on Microsoft Edge in order to exploit this vulnerability. CVE-2018-8413 is a remote code execution vulnerability that exists when “Windows Theme API” improperly decompresses files. A victim can exploit this bug by convincing the user to open a specially crafted file via an email, chat client message or on a malicious web page, allowing the attacker to execute code in the context of the current user. Of the two moderate vulnerabilities disclosed by Microsoft, Talos believes one is worth highlighting. CVE-2010-3190 is a remote code execution vulnerability in the way that certain applications built using Microsoft Foundation Classes handle the loading of DLL files. An attacker could take complete control of an affected system by exploiting this vulnerability. At the time this bug was first disclosed, Exchange Server was not identified as an in-scope product, which is why this release highlights a flaw from 2010. The other moderate vulnerability is CVE-2018-8533. There is also one low-rated vulnerability, which Talos wishes to highlight. CVE-2018-8503 is a remote code execution vulnerability in the way that Chakra scripting engine handles objects in memory in the Microsoft Edge web browser. An attacker needs to convince a user to visit a malicious website or malicious content on a web page that allows user-created content or advertisements in order to exploit this bug. A PoC exploit, called “By the Way,” released by Tenable Research Jacob Baines, first uses directory traversal vulnerability to steal administrator login credentials from user database file and the then writes another file on the system to gain root shell access remotely. In other words, the new exploit could allow unauthorized attackers to hack MikroTik’s RouterOS system, deploy malware payloads or bypass router firewall protections. Now, the FBI, the Department of Homeland Security (DHS), and the Department of the Treasury have released details about a new cyber attack, dubbed “FASTCash,” that Hidden Cobra has been using since at least 2016 to cash out ATMs by compromising the bank server. 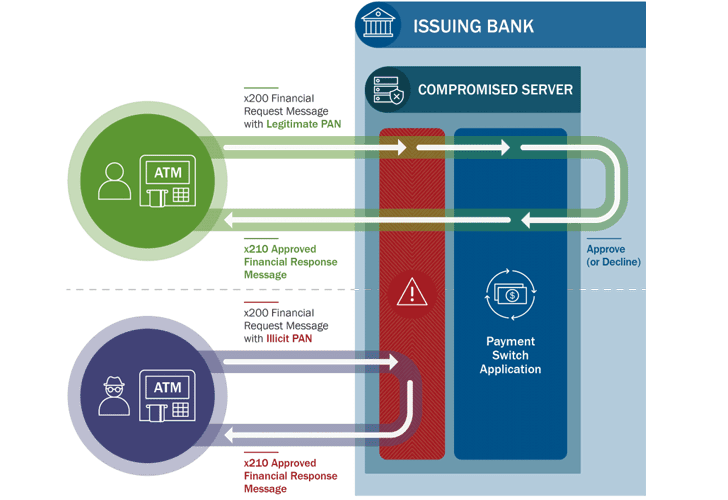 The investigators analyzed 10 malware samples associated with FASTCash cyber attacks and found that attackers remotely compromise payment “switch application servers” within the targeted banks to facilitate fraudulent transactions. Switch application server is an essential component of ATMs and Point-of-Sale infrastructures that communicates with the core banking system to validate user’s bank account details for a requested transaction. Whenever you use your payment card in an ATM or a PoS machine in a retailer shop, the software asks (in ISO 8583 messages formats) the bank’s switch application server to validate the transaction—accept or decline, depending upon the available amount in your bank account. “According to a trusted partner’s estimation, HIDDEN COBRA actors have stolen tens of millions of dollars,” the reports says. Once opened, the executable infected bank employees’ computers with Windows-based malware, allowing hackers to move laterally through a bank’s network using legitimate credentials and deploy malware onto the payment switch application server. The iPhone authorization screen bypass flaw works on the latest iPhones, including the iPhone XS, running Apple’s latest iOS 12 beta and iOS 12 operating systems. Once these requirements are satisfied, the attacker can begin the complicated 37-step iPhone passcode bypass process by tricking Siri and iOS accessibility feature called VoiceOver to sidestep the iPhone’s passcode. iPhone passcode bypass hack has become common over the last few years and appears almost after every iOS release. 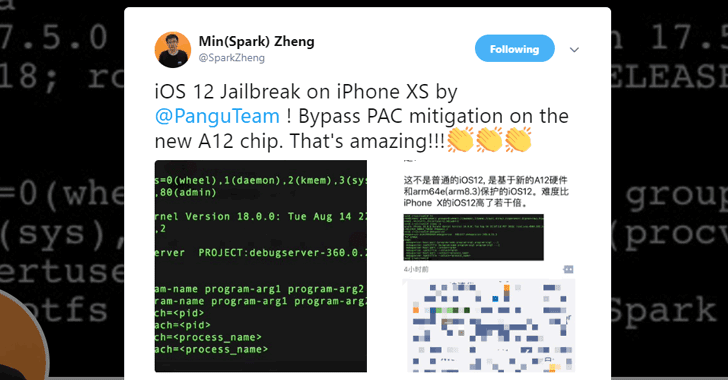 An iOS 9.3.1 passcode bypass was found last year, allowing an attacker to bypass Siri to search Twitter and gain access to locked iPhone’s photos and contacts.